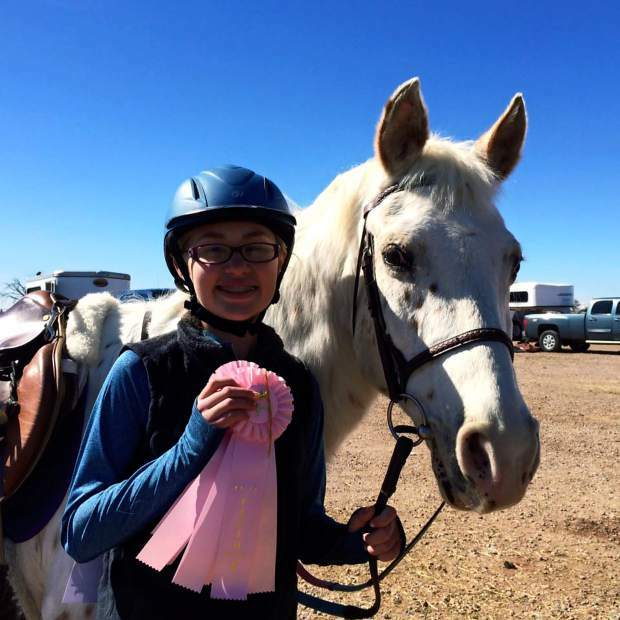 For additional information about Inspiration Riding Academy lessons, equitation camps or the IEA team, contact Stefanie Hoffman at 970 402-2536, or visit http://www.inspirationridingacademy.com. Charlie's fate was sealed. He was at an auction where similar ponies might be sold to kill-buyers. 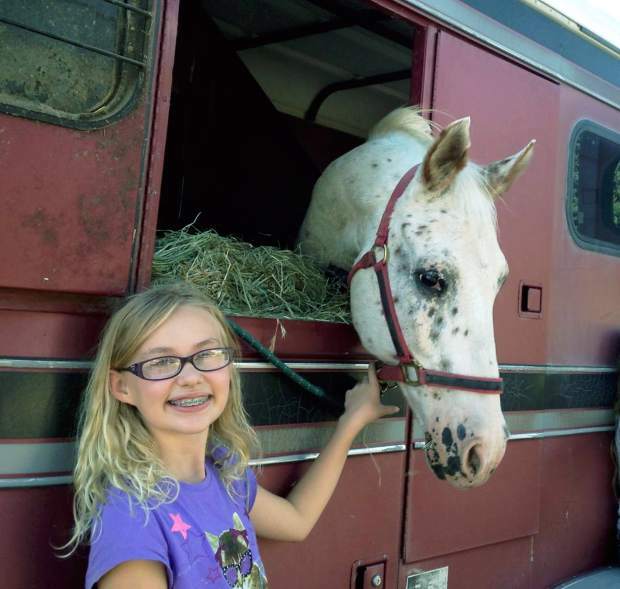 But the pony was bought, instead, by Mimi White of Fort Collins. White started putting Charlie under the saddle when he was two, and raised him on a ranch until he was three. 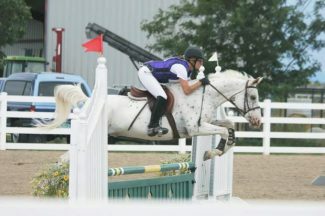 When he was three, he was purchased by Ruth Hurst, who is a dressage trainer in Fort Collins. Hurst used Charlie as a school horse in order to teach new riders the basics of dressing ponies. For the next eight years, the compliant polka-dot pony completed every task asked of him. But his obedient demeanor wasn't the only special aspect to Charlie, White said. On one of White's outings with Charlie, heavy rain at the North Platte River wasn't enough to scare the pony. "There were four of us on the ride, including 12-year-old Vanessa, riding Charlie," White said. "As we entered the deep water, two of the horses refused. My horse did not want to lead." But Charlie wasn't afraid. With water the height of his back, he led the way for the three horses across the river. But White wouldn't be Charlie's final owner. In 2008, Christine Olver bought Charlie. A petite 5 feet and 1 inch tall, Olver taught the versatile pony to jump and used him as her personal eventing mount. But Charlie did more than jump. He was also Olver's trail horse and helped Olver's daughter to ride. 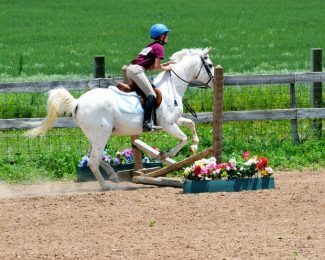 Ponies and small horses, regardless of their talents, often change hands when outgrown or if riders seek a more challenging mount. Cute Charlie again found himself looking for a job when Olver listed him online. Stefanie Hoffman of Pierce spotted him September 2014 while hunting for a fourth school horse for her fledgling equestrian venture, Inspiration Riding Academy. Hoffman said she liked Charlie's credentials and conformation, but didn't know if he could meet the needs for incoming students. Hoffman's 10-year-old daughter, Maya, tried him out first. Maya and Charlie worked well together, so, Hoffman leased Charlie from Olver, who decided against selling the pony outright. Olver said the pair's teamwork and connection was too much to give up. But seven months later, Olver changed her mind, and sold Charlie to Hoffman so he would be Maya's pony. When Maya learned Charlie was hers, she threw her arms around her pony's neck and sobbed. Now 19-years-old, Charlie helped Maya, now 12, become a stronger rider, her mother said. 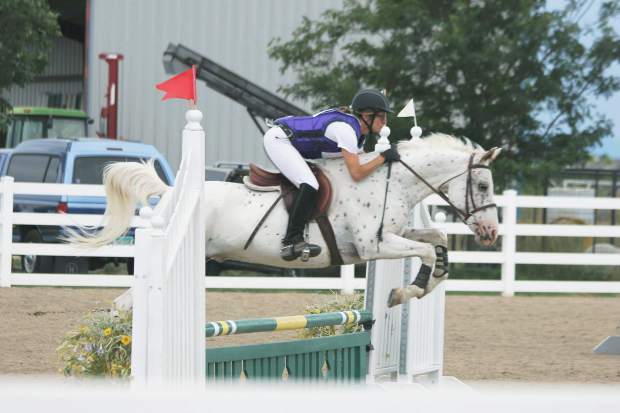 They are currently working towards competing in 2-foot-3 Hunter-Jumper schooling divisions and Colorado Hunter- Jumper Association shows. Excellent at multi-tasking, Charlie also works as a school horse, where he helps build confidence in timid and beginning riders. Charlie is not a timid pony. In fact, he's very expressive. "You always know how he feels," Hoffman said. His expressiveness comes with a social demeanor with his herd mates and humans. Hoffman said he is always ready to get in his trailer, ready for his next adventure. Charlie isn't the only member of the family who is familiar with travel. Hoffman grew up riding and showing horses in Indiana until she moved to Fort Collins to get her equine science degree from Colorado State. She graduated from the university in 1991. She subsequently ran her own training business in Fort Collins, followed by employment at the Columbine Equestrian Center in Littleton, Colo., until 1996. While there, she taught riders age four and older. 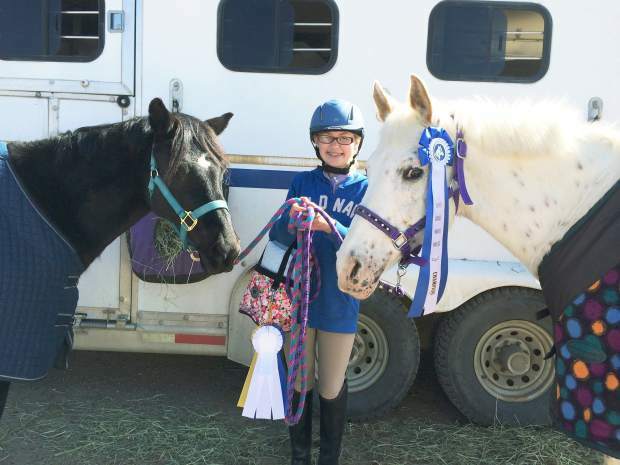 Her students have competed in rated United States Equestrian Federation — formerly American Horse Show Association — shows and local shows, winning numerous awards and championships. 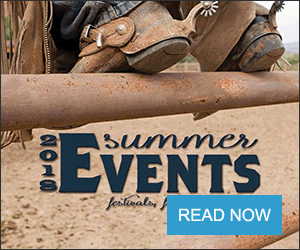 Hoffman taught Hunter-Jumper clinics in the region and worked/rode with some of the top professionals in Colorado and numerous Olympians, including Gold Medalists Joe Fargis and Greg Best. 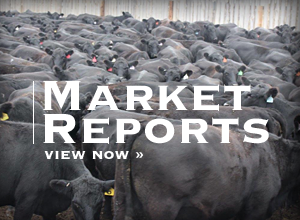 In 2012, Hoffman worked as an oil and gas sector manager for a global environmental company. But she was restless. "I really wanted to return to my roots teaching children and adults to ride horses," Hoffman said. "I love working with people and teaching." On the 4-acre property where she lives with her husband, Greg, and their two daughters, the experienced instructor founded Inspiration Riding Academy. "It was a return to what inspires me and makes me feel whole," Hoffman said. "As I got more students, I cut my hours at my corporate job. Last spring, I left that job and have been running the academy full-time since. We added another instructor, Anne Bailey, as of March 1, 2016." Hoffman said Inspiration Riding Academy draws 30-40 students annually to private and small group lessons. It also offers spring and summer riding camps; plans are underway to start an Interscholastic Equestrian Association team this fall, which is open to middle and high school aged riders of all levels. As for Hoffman's daughter, Maggie, the dream is to teaching riding. But big sister Maya wants to become an animator. Her creativity now leads her to produce Breyer horse movies, for which she writes scripts, directs and produces. Hoffman said Maya stages each scene, moves her plastic equines around and dubs in her own voice for each character.